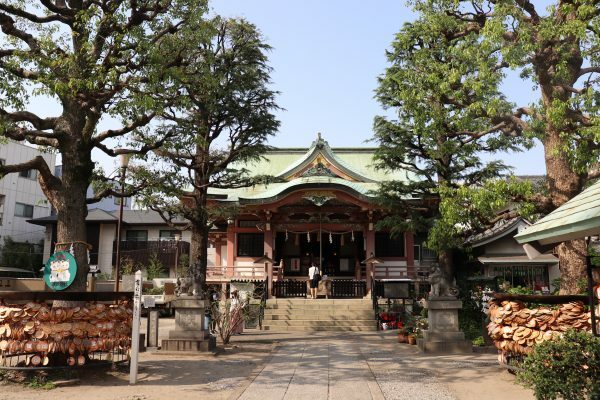 Imado shrine is located in Asakusa area where famous place as traditional Japanese place. 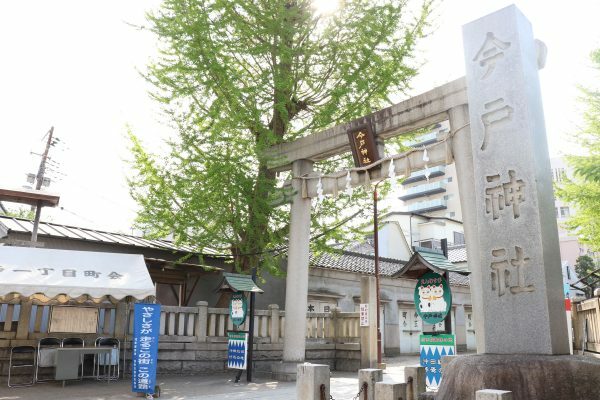 Imado shrine is known as giving profit for matchmaking because the shrine dedicate to the god of the couple. 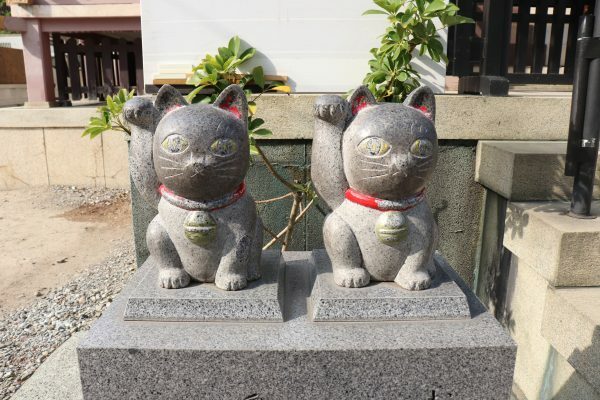 Also the area “Imado” is said that Maneki Neko (lucky cat) was born, therefore there are many kinds of lucky cat such as little lucky cat stone statue, big lucky cat statue and amulet. 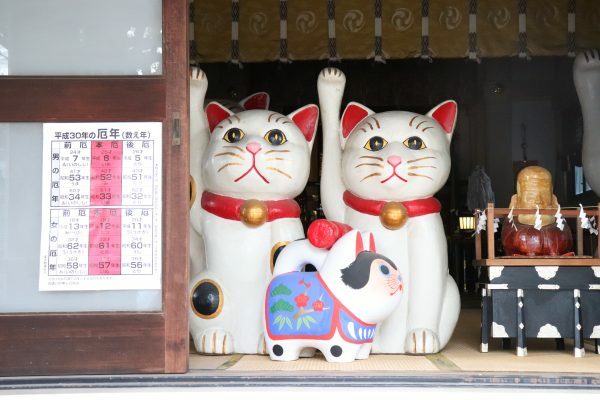 In Tokyo, Gotokuji temple is also known as birthplace of Maneki Neko. 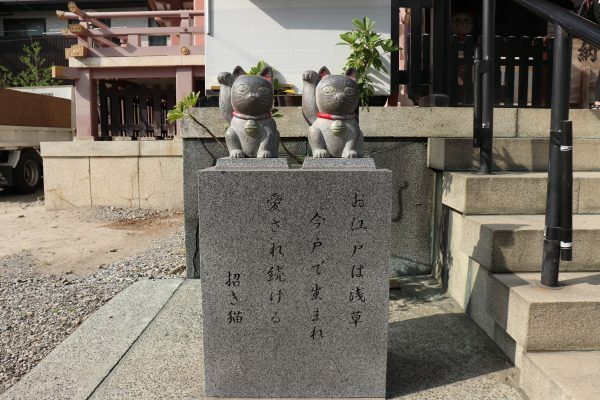 At the left side of the main shrine, there is little lucky cat stone statue. It is said that a wish would come true if a person set a picture of the statue and pray a wish every day. We recommend you to try it as it would be commemoration of the trip also. 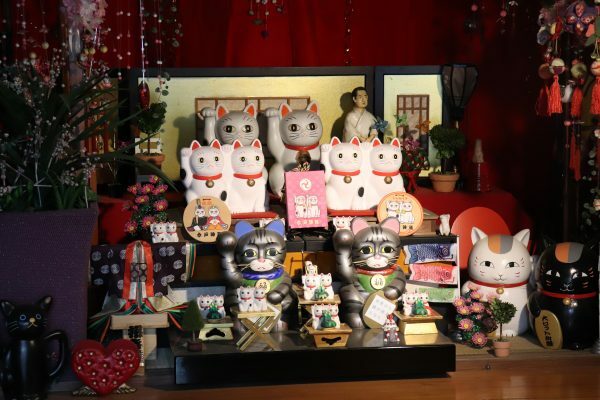 Since Imado is the birthplace of Maneki Neko (lucky cat), there are big lucky cat statue and the size is about 1 meter!! The deities of Imado shrine is Izanagi-no-mikoto and Izanami-no-mikoto couple! This is the reason why Imado shrine is known as giving profit for matchmaking!! 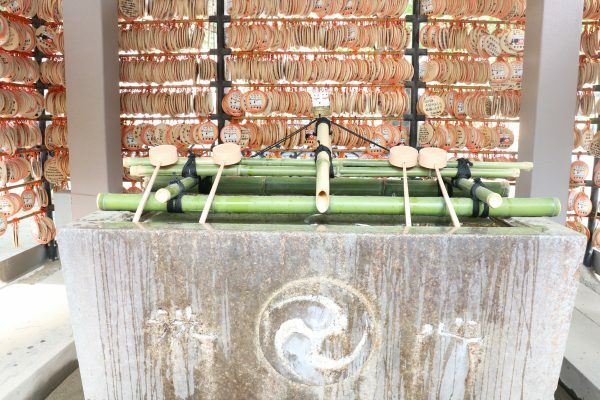 The Imado shrine is also known as wedding shrine as it held an event of matchmaking since 2008, and it made many couples and large number of them got married!! The date of matchmaking event were published on the official site of Imado shrine. Usually shape of votive picture tablet is pentagon but shape of Imado shrine’s one is very unique. Circle shape!! In Japanese, circle is pronounced as En (円), and fate (縁) is also pronounced as En!! 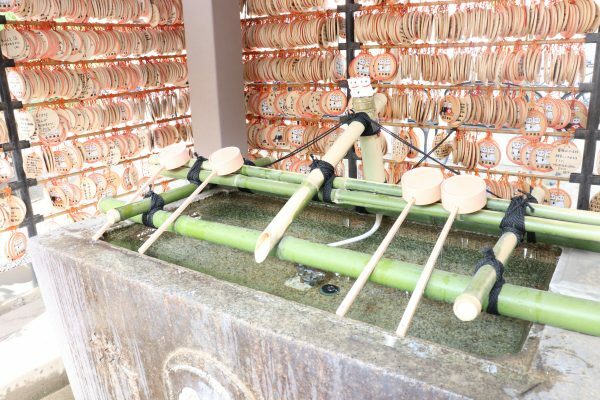 Based on these pronunciation, Imado shrine made circle votive picture tablet. The picture depicted on votive picture tablet is usually a horse but a pair of lucky cat is depicted on the Imado one. It would be nice to write a wish on the votive picture tablet and take a picture of it for your memory of the trip!! The shrine sells amulet which is effective in love. The shape of the amulet is also circle as well as votive picture amulet. Chozuya is the place for ritual cleansing of hands and mouth with water when visiting shrine, and is located in all of shrines in Japan. Chozuya in Imado shrine is also unique, and is surrounded by votive picture tablet like a wall. The atmosphere of the place makes people happy!! There is cute lucky cat pair on the top of bamboo where water come out and this is also rare sight. After finishing praying at the main shrine, we recommend to see shrine office where “Omikuji” (fortune telling paper) is located. In the back of the room, visitors able to see their cat collections!! These collections are very interesting as the number of collections are a lot!! 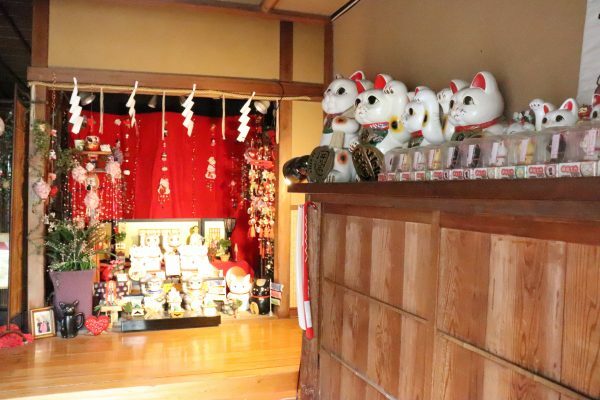 We felt this area is the origin of lucky cat!! You can also try Omikuji which is from 200 yen. 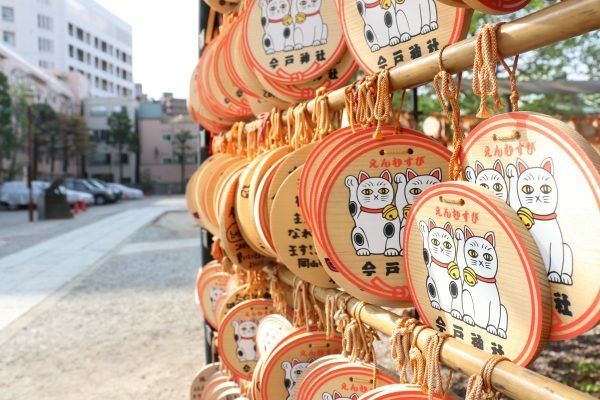 Small lucky cat amulet is included in the Omikuji and there are several type of small lucky cat. What we have got is pink small lucky cat which has profit for matchmaking!! Please check another article for difference with profits depending on the color. 09:00 – 17:00 for buying goods. Riverside-sports-center-mae bus stop: About 1 minutes by walk. Asakusa-nana-chome bus stop: About 3 minutes by walk. Asakusa station on Toei Asakusa line: About 15 minutes by walk.